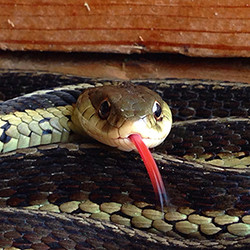 Snakes may be one of the most feared and misunderstood animals, but after attending this program, you’ll see how fascinating and beneficial these beautiful reptiles can be. Join CNC Interpretive Naturalist and snake enthusiast Michelle Fournier for this live snake program. All are invited to get as close a look at the snakes as you feel comfortable!